A pair of wildlife trafficking kingpins is facing the wrath of the U.S. government for reportedly tricking hunters into killing rhinos illegally. 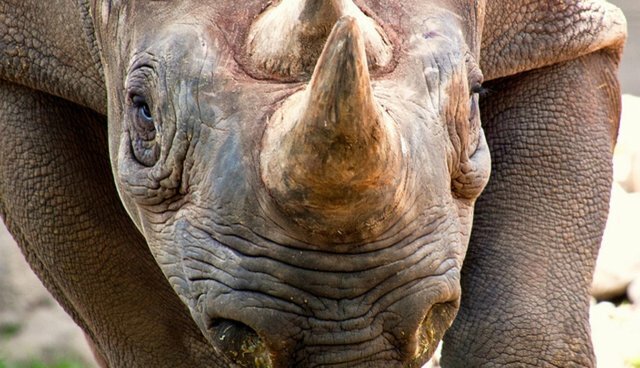 On Thursday, federal prosecutors in Montgomery, Ala. announced charges against a pair of South African brothers who allegedly sold illegal rhino hunt to U.S. hunters, and trafficked the horn on the black market. Dawie Groenewald, 46, and his brother, Janneman Groenewald, 44, operated their company, Out of Africa Adventurous Safaris, out of Alabama from 2005 to 2010, often attending sportsmen's gatherings like Safari Club International conventions to recruit American hunters to go on African hunting trips. They charged between $3,500 and $15,000 for a rhino hunting expedition on their 10,600-acre game ranch in South Africa. The brothers allegedly told hunters that the rhinos they were hunting were "problem" animals that could be legally hunted because they were "dangerous." But the Groenewald never obtained the required permits, and conducted the hunts in violation of South African law. The 18-count indictment, which details 11 illegal hunts, alleges that the brothers were kingpins of an illicit trafficking industry. They're facing charges of conspiracy, violations of the Lacey Act (meant to stop illegal wildlife product imports), mail fraud and money laundering. Prosecutors are now seeking to extradite the brothers from South Africa. "We are literally fighting for the survival of a species today. In that fight, we will do all we can to prosecute those who traffic in rhino horns and sell rhino hunts to Americans in violation of foreign law," said Sam Hirsch, Acting Assistant Attorney General for the Environment and Natural Resources Division. "This case should send a warning shot to outfitters and hunters that the sale of illegal hunts in the U.S. will be vigorously prosecuted regardless of where the hunt takes place." The brothers' indictment is part of a government effort to prosecute illegal rhino hunters and horn traffickers called Operation Crash - aptly named after a group of rhinos, a "crash." "This case is intended to send a message to outfitters and professional hunters: The long reach of U.S. law will catch up to you if you involve our country and our hunters in criminal enterprises abroad," said Jean Williams, Deputy Assistant Attorney General at the U.S. Justice Department's Environment and Natural Resources Division. "If you sell your illegal hunts here, you are subject to prosecution here, regardless of where the hunt takes place."